Here is a picture of my lighted cat with a Christmassy bow. I have wanted to post about her before (I don’t think I have). She is very pretty. She is pretty when the light isn’t on, but even more so when it is. And now here she is in a fancy bow all decked out for Christmas. This entry was posted on December 29, 2017 at 7:15 pm	and is filed under Friday Photo. 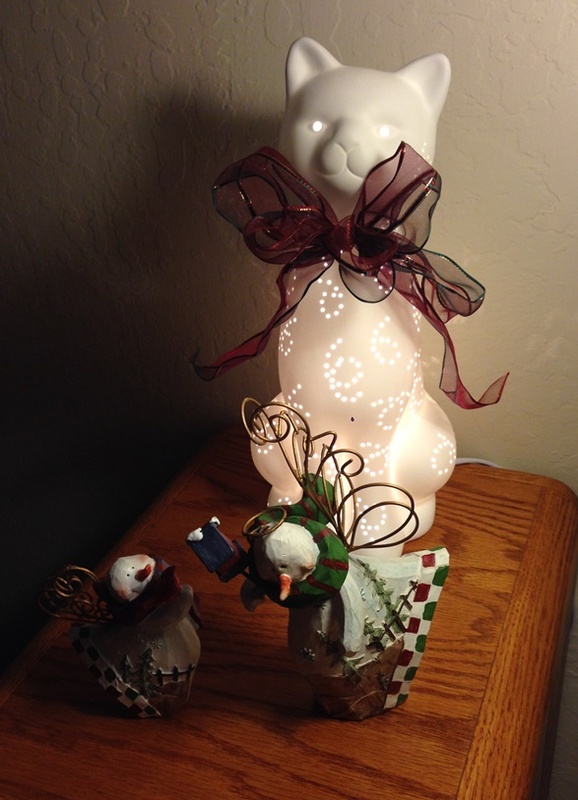 Tagged: Christmas cat, Christmas Fancy, Friday Photo, Lighted Cat, Night Light, Pretty Cat. You can follow any responses to this entry through the RSS 2.0 feed. You can leave a response, or trackback from your own site.